What to see and do in Tacoronte, Tenerife. Picture of Tacoronte’s Port, Tenerife. 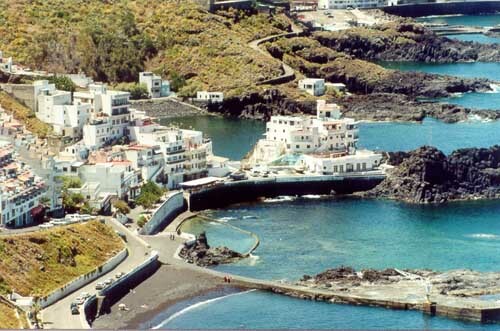 Tacaronte’s municipality is located in the North of Tenerife’s Island in Canary Island. In this municipality you can find remainings of an ancient forest as well as a diverse trails that might transform this location into the perfect place to practice outdoor activities. From this municipality we should enhance it’s historical shelter and monumental buildings as el Cristo de Los Dolores Sanctuary, Old Convent of San Agustin, La Alhóndiga, El Calvario, Santa Catalina Mártir de Alejandría Parish and San Jerónimo’s Hermitage. Also intersting to visit the Gardens of Hamilton Park. Tacaronte shows out from the sea in a series of impressive cliffs from where you can contemplate the Atlantic Ocean. Between these you may find different black sandy beaches with their clean and clear waters. It’s coast is the perfect location to practice water and underwater sports. Regarding it’s gastronomy, in Tacarone, you might find a great variety regard restaurants where you might enjoy the most typical dishes from the island of Tenerife.